The weather has proven to be very much as we expect March to be – all over the place. Scattered semi-warm days followed by much cooler days, a day or so of southerly winds, followed by days of northerly wind. Yep. It’s March. Or even better — it’s spring on the Outer Banks. While the weather is par for spring, so are the water temps. The water is warmer on average from the south side of Cape Point to the south end of Ocracoke, with warmer spikes during southerly winds. It’s a known fact that, generally, the farther south you hunt in the spring along the Outer Banks coast, the more productive the fishing is. 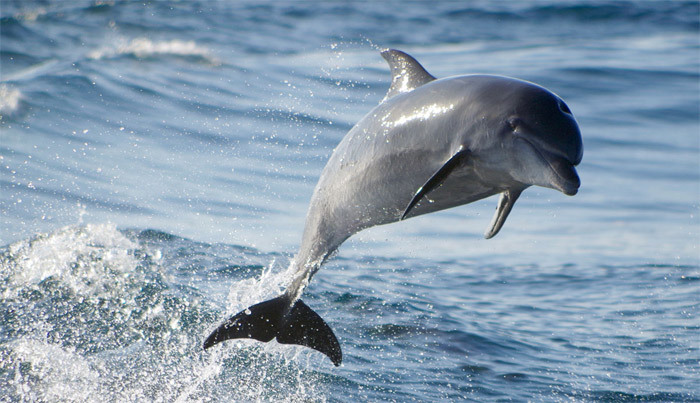 It’s usually several weeks from the start of regular bites on the southern beaches until the time the bites become frequent on the northern beaches of the Outer Banks. The puppy drum action has remained steady for the most part from Cape Point to the south end of Ocracoke. The bite for the smaller red drum has been fair for weeks now, and I do not expect that to change in the next few weeks. There have also been a decent amount of lower-end yearling drum caught. Fish between 30 and 35 inches have become more frequent in the reports. There have been no real reports of citation fish since several were caught a few weeks ago. No surprise there. The larger fish bites could go either way this early in the spring. They could feed on every warm day with a southwest wind, or you may not see them at all until a more consistent water and air temp is reached. 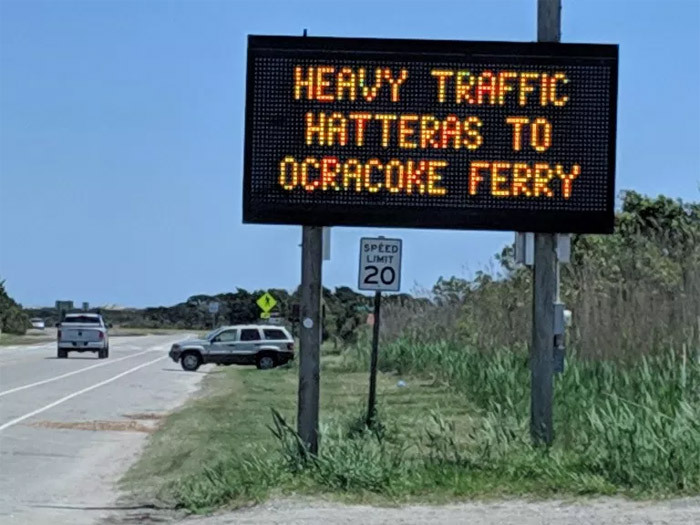 However, a big school could come into the south end of Ocracoke, Hatteras Inlet, or Cape Point at any time when the water temp is 55 degrees or better. So, never count the big boys out, just keep your expectations reasonable. If the fish bite hard, then it’s a serious bonus. Reports of the occasional blow toad have hit the reports, and these fish are a true sign of spring angling. As the reports and numbers of these fish increase, you can expect that there will be an increase of reports and numbers of these spring fish. 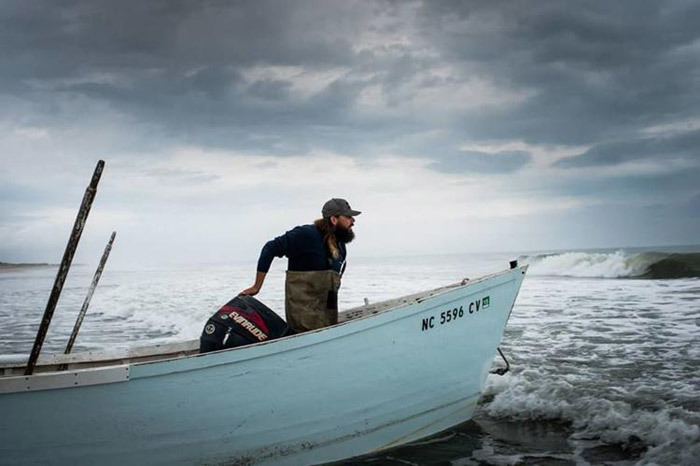 Ultimately, the weather will dictate all of the fishing, and we can only hope that a warmer trend will soon be here. The puppy drum continue to be caught on both artificial lures and bait, while the blow toads have been caught on shrimp. Stopping by one of the numerous tackle shops for advice and gear will lead to solid info on where to be and what to use at that time. Bluefin tuna continue to make the offshore reports. While these fish make the reports daily on the fishable days, I’ve yet to hear of any overwhelming schools as seen in the past. There have been a couple of smaller schools that have been chased. There are a lot of different factors that play into bluefin, as with any other fish, and I doubt this means they aren’t there. There is just as much of a chance of these fish showing up in a three-mile school at any moment as there is a chance of a giant school of red drum appearing. Easter and spring break are knocking at our doors. There are more cars on the highway, more people walking the beaches, and more businesses reopening daily. Taking a little time to get out of the cabin after a harsh winter will be good for the body and soul, whether you catch fish or not. It doesn’t matter if you are an avid fisherman, a weekend warrior, or someone who wets a line two or three times a year, getting outdoors always helps to unwind. While March and April can be unforgiving in the weather department around here, the days can also be very nice. The beauty to this time of year is that there is generally somewhere you can find to stay should you see a nice break in the weather. Last-minute plans are easy to pull off in the off season, as long as you have the vacation or sick leave built up. If not, just plan a weekend trip. I hope to have more to report by my next column, but only time will tell.